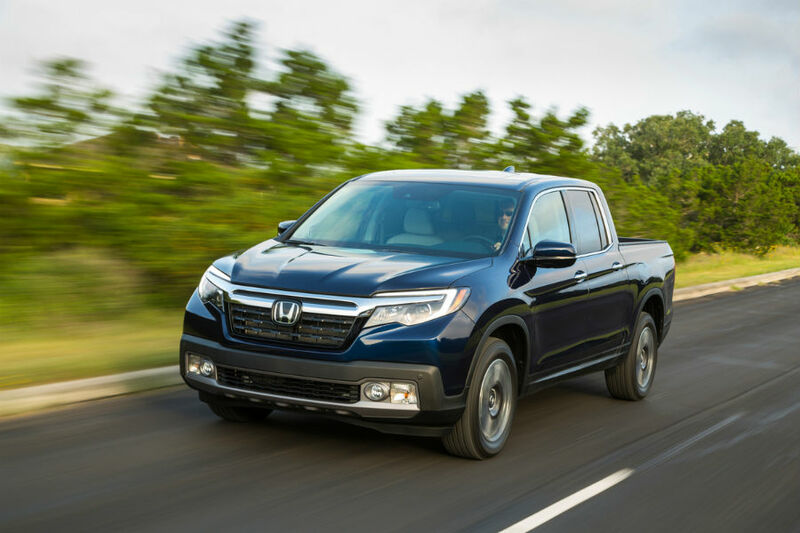 The 2019 Honda Ridgeline combines the functionality and power of a truck with the cabin comforts Honda vehicles are known for. The Ridgeline is the truck you’ve been waiting for, with a number of desirable features to meet every single one of your needs – without having to sacrifice any of them. Power? The Ridgeline has it. Seats for a carload of people? This truck seats 5 comfortably. Looking for more reasons to get yourself into the 2019 Honda Ridgeline? Look no further, we’ve got them for you. Rain or snow can be annoying with the lack of covered storage in a pickup bed, which any pickup owner in Canada knows well. If your truck has an area to keep your things covered, keeping those items secured may be an issue. With the Honda Ridgeline, there is no need to worry – the Ridgeline offers the Lockable In-Bed Trunk to keep cargo dry and secure at all times. If you’re in the market for a truck with superior towing capabilities, the Honda Ridgeline is the truck for you. For towing, you simply need to hook what you need to tow onto the standard trailer hitch and drive. The Ridgeline has a standard 2,268kg (5,000 lbs) towing capacity and a heavy-duty automatic transmission cooler that makes towing incredibly easy. Wherever you’re going, the Ridgeline can handle any terrain with the Intelligent Traction Management System. This system works with the available i-VTM4 All-Wheel Drive (AWD) System, which allows the driver to choose between Snow, Sand, and Mud modes to adapt to the appropriate driving conditions at the push of a button. AWD is standard on the RTL-E and Black Edition trims, and is an option on the RTL and RTL-T trims. If AWD is not for you, the front-wheel-drive also offers a number of distinct advantages. The front-wheel-drive option offers a more efficient package for better interior cabin space and more cargo space. The 2019 Honda Ridgeline starts at an MSRP of $29,990. If you’re interested in learning more about the features available in the Ridgeline, or information on when the truck will be hitting our lot, visit us at Henley Honda. Our Sales team will help you find the right features and help you build and the truck of your dreams. Visit Henley Honda at 308 Lake St in St. Catharines!